How you win a political stunt: Expert level. In a press release this morning, Republican presidential candidate former Arkansas Gov. 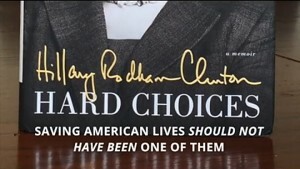 Mike Huckabee announced his campaign released a series of Vines in response to Hillary Clinton’s publicity stunt in which she delivered a copy of her book “Hard Choices” to every GOP candidate who participated in the CNN prime time debate. As Secretary of State, whether to send help to save American lives, including our Ambassador’s, in Benghazi should not have been a hard choice for Hillary Clinton. Unfortunately, she failed. 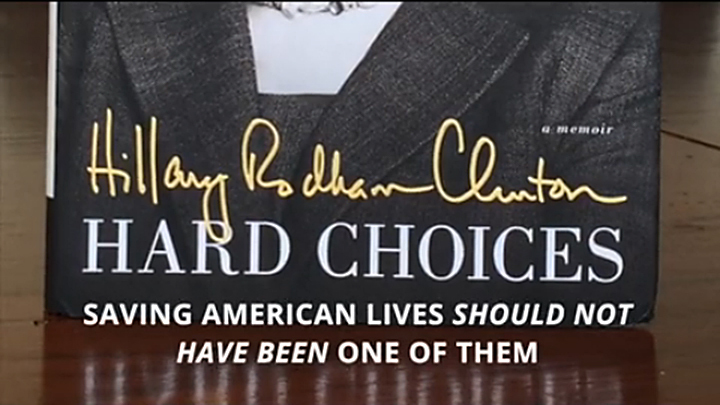 When running for President, whether to hide from the American people should not be a hard choice. However, Hillary Clinton has failed and is running a staged campaign that is not accessible to most of the press or public. When working as an employee of the government, whether to have a secret email server should not be a hard choice. However, Hillary Clinton failed and attempted to keep her communication secret from the public and even put our national security at risk by doing so. When you are serving as Secretary of State, whether to accept donations from foreign countries should not be a hard choice. However, Hillary Clinton failed and allowed the Clinton Foundation to accept millions of dollars from foreign countries and governments. If someone wants to be President, whether to protect American workers should not be a hard choice. However, Hillary Clinton failed the American worker by coming out in favor of the TPP in her book – only to flip-flop on the issue last week in order to score some political points.